There are over 20 schools in New Mexico offering accounting programs that range from certificates to postgraduate degrees. 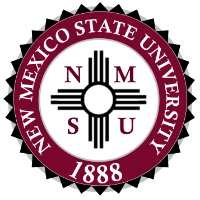 The University of New Mexico and New Mexico State University are the highest rated among these, ranked in the top 200 schools nationwide by U.S. News. Another well-regarded New Mexico school is the New Mexico Institute of Mining and Technology, listed among Kiplinger’s 2013 Best Values in Public Colleges as well as in Forbes 500 Top Colleges List. While the average salary for accountants in New Mexico is lower than the national average, prospective accountants have some quality academic options to choose from when considering accounting schools in New Mexico. While it is common knowledge that a degree does not guarantee a successful career, an accounting program offers much more than a degree. Your accounting school will be the start line of your career: it is here that you will learn and practice skills, make contacts and improve your resume. Keep this in mind when researching the best accounting program to pursue, and choose a school that will challenge you and prepare you for a real-world accounting career. Choose an AACSB-accredited program with a great reputation, high CPA exam pass rates and a successful graduate placement record. Look for qualified and experienced instructors, award-winning faculty and students, and excellent student feedback. Don’t be put off by challenging requirements and tough assessment: this is what will prepare you best for this difficult, yet rewarding career. Finally, don’t forget that knowledge is not worth much when it is not applied: make sure that your future school offers plenty of opportunities for practical experience through student organizations, internships, field trips and business competitions. Your study years are your time to shine among countless other prospective accountants – so make sure to choose a place that will bring out the best in you! Contrary to stereotypes, being good with numbers is far from enough to become a successful accountant. Nowadays, accountants are at the heart of every business, making skilled decisions, keeping financial records and navigating legal complexities. If you have a passion for economics and business, this is a field where you can thrive. You will need determination, patience and hard work to make it as an accountant, especially if your eyes are set on the CPA certification. Even entry-level accounting jobs require a four-year degree; CPA candidates need to complete 150 credits of education, which usually translates to a Bachelor’s and a Master’s degree. 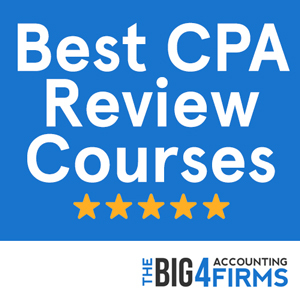 CPA candidates are also required to pass all four sections of the notoriously difficult CPA examination, as well as to complete and pass an ethics course. Most states will require you to gain one or two years of accounting experience before you can practice as a licensed CPA. While New Mexico CPA candidates do not need to complete 150 college credits to sit for the CPA exam, this educational requirement needs to be met before they can be granted licensure. The 150 credits have to include a Bachelor’s degree and at least 30 hours in accounting courses. 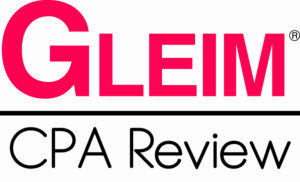 Prospective CPAs also need to pass all four sections of the Uniform CPA Examination, as well as the AICPA Ethics Examination. Furthermore, the New Mexico accountancy board requires candidates to gain one year of accounting experience under the supervision of a licensed CPA before they can apply for a CPA license. Accountants and auditors in New Mexico earn less than the national average, with a mean annual salary of $60,250 in 2013. However, there are significant regional variations in accounting pay levels: while accountants in the East and North of the state earn just over $51,000 on average, the Southwestern New Mexico nonmetropolitan area is the most lucrative, with a mean annual salary of $71,580. Although New Mexico is one of the lower paying states in the country for accountants, the wide range of career paths in the field and the varying qualifications mean that a motivated accountant on the CPA track can still earn a rewarding salary. The highest paid percentile of New Mexico accountants earns over $92,000, compared to the lowest average pay of just under $34,000. The New Mexico State University offers a prestigious accounting program including a Bachelor of Accountancy, a Minor in Accounting and a Master of Accountancy degree. The university is ranked as the 190th nationwide by U.S. News and its College of Business is AACSB-accredited. Bachelor of Accountancy students complete at least 30 credits in accounting, auditing, taxation and related areas, as well as advanced business law, economics courses and a number of electives. At the postgraduate level, Master of Accountancy students are required to complete advanced courses in management and financial accounting, macroeconomics, business law, financial analysis and marketing. The New Mexico State University boasts excellent graduate placement rates, with recruiters including the Big Four and other major accounting firms across the country. Moreover, in 2013, New Mexico State University students achieved the highest first-time CPA exam pass rate with an advanced degree in the state. Excellent results and a comprehensive accounting curriculum recommend the NMSU accounting program as a high-quality option for New Mexico students. The University of New Mexico is listed as the 181st in the country by U.S. News and offers a prestigious AACSB-accredited accounting program through its Anderson School of Business. Undergraduates studying for a Bachelor of Business Administration can opt for an 18-hour concentration in accounting, while students wishing to sit for the CPA exam can pursue a Master of Accounting degree. The program at the University of New Mexico stands out through its flexibility. Master of Accounting students can pursue an Advanced Track, an Information Assurance Track or a Tax Track depending on their career goals; a Professional Track is also available for students with an unrelated undergraduate degree. Students can also speed up the process and save on tuition by choosing the Integrated BBA/MAcct program that provides 150 credits within five years. Finally, MBA students can also choose an Accounting concentration. The University of New Mexico offers a wide range of choices and opportunities for experience through internships that count towards college credits. By choosing an advanced program tailored to their specific goals, prospective accountants can get off to a great start in their careers.